Oh my goodness – that is soooo amazing. And not only do they create amazing sewing projects, they also tackle DIY ideas, like this under the counter magnet board. 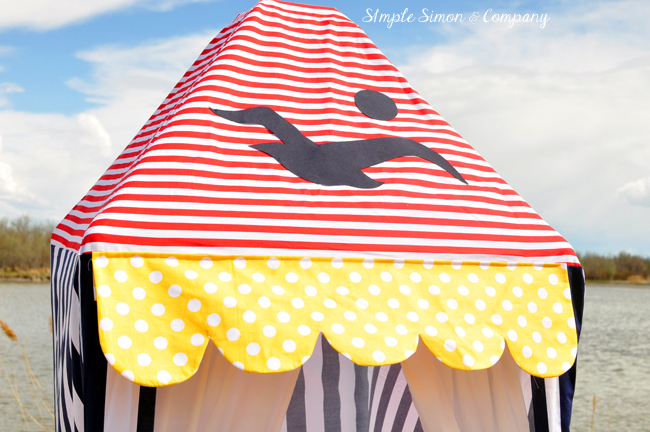 Be sure to head over to Simple Simon and Company and get inspired – you will love it!! This is amazing. I need exactly this for a party this summer but not sure I can do this. Any chance you would like to make 2 and sell them? 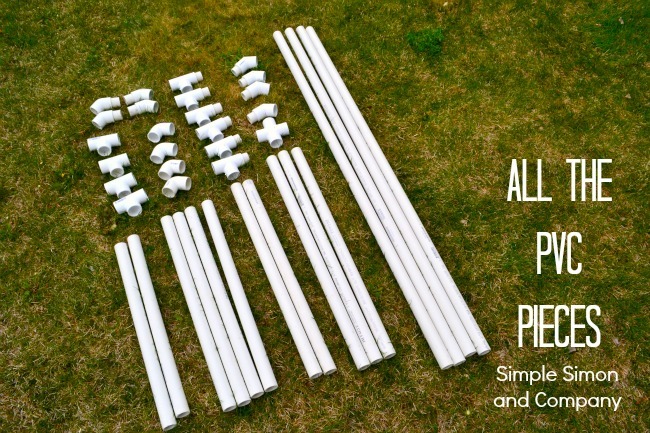 Can you tell me if you used 1/2 inch or 3/4 inch PVC? And are you happy with how sturdy it is? 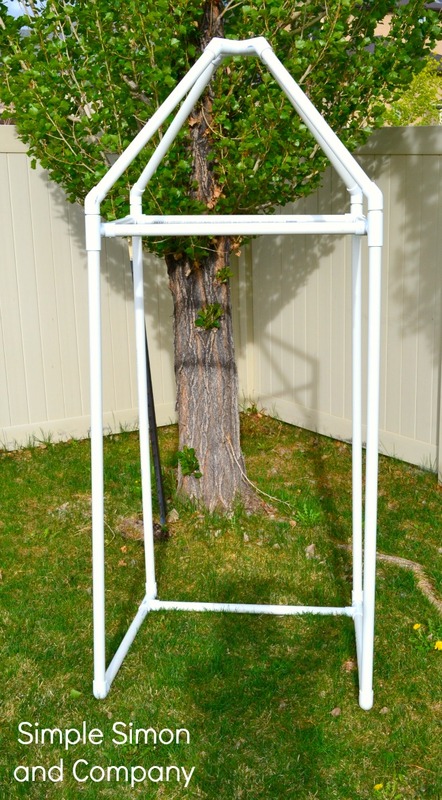 I am looking for a golf bag carrier made out of PVC. The one with 2 wheels that you can put your golf bag on and it carries your clubs for you. I would love to try and make one, but don’t have the foggiest idea how to hook the wheels to it. Does anyone have an idea for this? This is so great! I love PVC for building fun things for my kids. This is so pretty and bright too! That cabana is ridiculously adorable! What a great idea! You girls are so fun!! 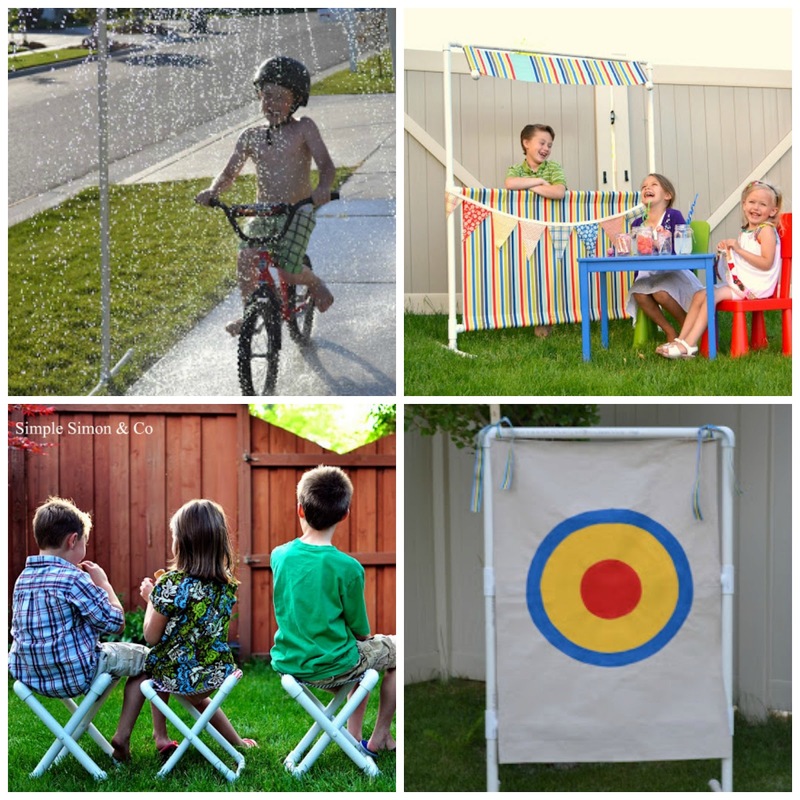 All of these projects are so cute and so fun! I just love the cabana, and think it is just an adorable idea! 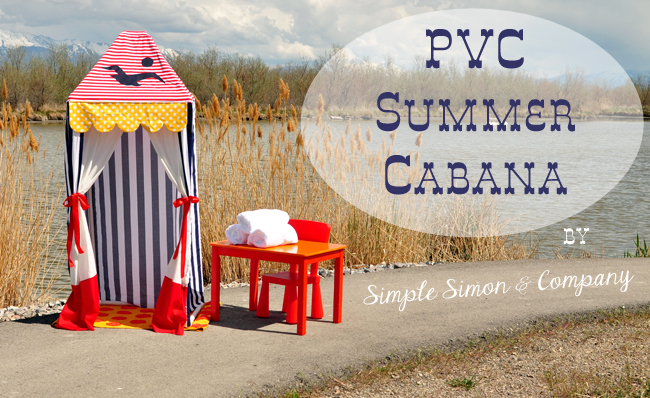 Wow, that cabana is amazing, and it looks really easy to make! Heading over to check out all the rest of the PVC ideas- so cute! !